Instagram is much talked about by digital marketers. 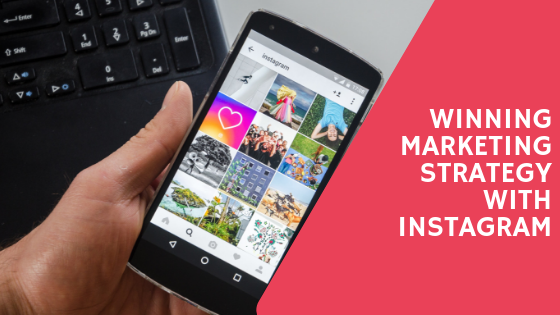 With over 700 million active Instagram users, it’s a social network platform that reaches the masses including your current and untapped markets. With Smartphones coming up with better features in capturing high-resolution photos and videos, it’s hard to resist the urge to share them with the world via Instagram. There’s even a word for it: Instagrammable. When people find every place, pet, or performance instagrammable, we know that Instagram is here to stay. The goal is to craft posts worthy of sharing and circulating in the Instagram universe, or better yet, will cross to other social apps. 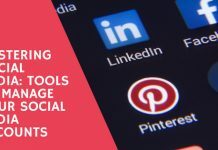 Depending on your Instagram Marketing strategy, create a post with links to all social accounts: Facebook, Twitter, Pinterest, Instagram, Google+. This will make sharing right away easy. An Instagram account can also stand on its own as long as standard content such as logo, tagline and profile description, useful links (website, map, other social accounts), the color scheme is observed for a unified branding look and feel. Images and one-minute videos are the lifeblood of Instagram. Deserving a second look are high quality, well-composed, uniquely conceptualized images. Fast-paced, focused, with minimal text for Instavids. It works differently for every niche. One can use top-down flat lay shots for food or scenic long shots for places. In short, what you share should be visually delightful and relays the brand’s character. Give the image its voice by partnering it with equally compelling captions. Good captions say, first, what the image is all about in a creative way. It can be inspiring or funny or show how a problem is solved. Emojis, those cute facial expressions, and ideogram add life to captions. They somehow substitute for the warmth in a face-to-face interaction. Second, there is a call to action. Ask Instagrammers to sign-up, share the post, or tag a friend. Ask a question and encourage them to answer in the comments section. After the structure is the approach. You can pique the interest of Instagrammers’ just enough with a teaser, so they’ll be enticed to click the link to your website to read the rest of the story. If you choose to tell the whole story in the caption, be reminded of the 2,200 character limit, so start with the most important details. Posts in an Instagram feed are arranged, not chronologically, but based on the number of likes and comments. Instagram assumes that more likes and comments mean audiences will find the content interesting. Thus, these are the posts visible at the top of followers’ home stream. The effect ripples up to a higher search engine ranking. Keep conversations rolling in the comments section. It is a way to nurture relationships online. Comments are feedback, too and it is worth taking note what your audience has to say about your company or product/service. Consistency is key in growing Instagram followers. Decide how often new content will be uploaded. There are studies even saying when is the best time to post on Instagram. See what schedule suits your brand. Hashtags, the # plus keyword combination, is another way to expand connections. Every click on a hashtag exposes all posts with such keywords including your posts. It helps to get found by prospective clients. The more relevant and specific the keyword, the better. Consumer behavior is changing. Consumers are no longer content with print ads or television commercials. They want to do their research and check how true a brand’s claims are. Enter an influencer, a credible, respected, and dependable person in a specific field with massive online presence, and a substantial number of loyal followers. What an influencer has to say – a product review or endorsement – is an expert opinion that an Instagram follower trusts and considers in decision-making. This makes influencer marketing one of the most effective ways to retain and attract more customers online. Be sure to follow industry influencers on Instagram. They come in various sizes, from micro-influencers to the more popular account names. Micro-influencers are like relatable peers to consumers while big time personalities represent characteristics that people aspire for. Among them, who can you work with collaboratively? Working together can mean content sharing and recommending your brand. Take your campaigns to the next level with Instagram Business starting with Instagram advertising. Sponsored Instagram ads gain more likes and followers compared to a regular post. Some of the added features include a shop now link that takes the user to the product page. The contact button will allow users to call or email the business owner. With Facebook acquiring Instagram, your marketing campaign can cover both platforms seamlessly. For one, your Instagram account can link your Facebook page instead of design separate content for each social network. 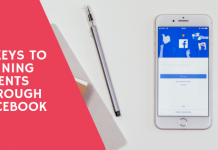 Creating a campaign on Facebook and Instagram is purposive with the objective, audience, schedule, and budget identified. After campaign launching is performance tracking. Instagram Business tracks analytics called Insights and offers significant data to digital marketers. Insights are focused on two areas: follower demographics (location, age, gender, new followers) and Instagram post analytics (reach, impressions, website clicks). Insights help measure the results of marketing efforts in tangible terms to determine a campaign’s success. How near or far are the results from the set targets? Is Instagram driving the results a campaign aimed for? The answers to these questions will prompt new trials, tracking, and tweaks to a campaign. As far as marketing is concerned, Instagram is for all kinds of businesses; from start-ups to global brands. While modern businesses have taken the plunge and uses Instagram in their digital marketing strategies, a deeper dive can show unexplored advantages to further raise profits. 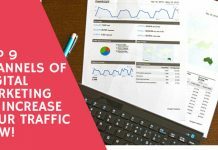 Previous articleTop 9 Channels of Digital Marketing to Increase Your Traffic Now!